Battle friends and family across a diverse environment of multiple paintballs fields and tournaments in West Milford, NJ. Battle Creek Paintball Fields features a wide variety of elaborate designs and concepts appealing to both beginners and veterans ready for real-life adventure. Compete across 15 acres of forests, buildings, hills, secret passages and hidden hide-outs fitting any battle tactic you prefer. Take a sniper position and hold down your fort with top-quality weaponry and excellent views. Fight for Skull Mountain or lead your team through The Fortress and into the labyrinthine Junk Yard. Dodge between covered positions and show off your paintball prowess in Pallet Town or lurk through James Town to The Woods to make your stand in the camouflage of the trees. 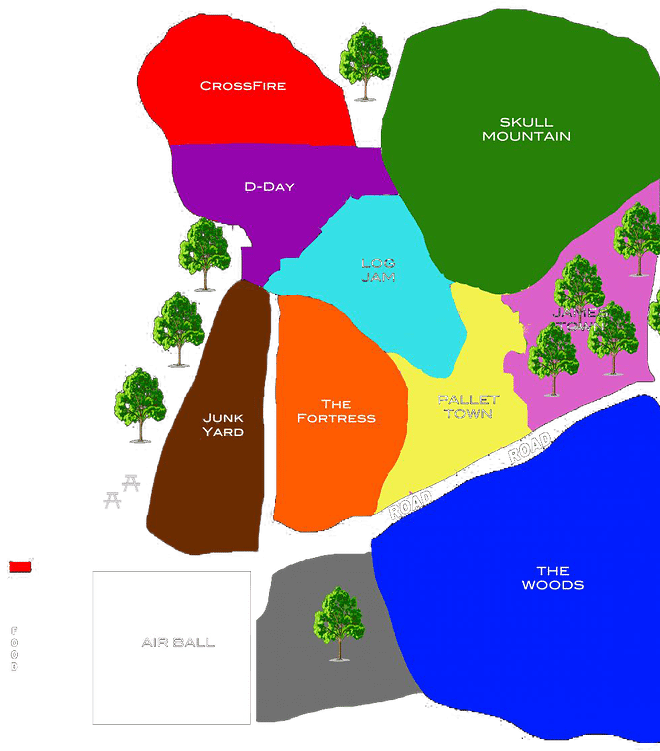 Battle Creek’s extensive paintball park is carefully planned and set up to make the perfect war zone while providing a safe, exhilarating experience. Battle Creek Paintball Fields are expansive enough to engage all players in varied, captivating landscapes while keeping each competitor locked in enticing, thrilling combat. Browse the Battle Creek Paintball Fields calendar to take part in a regular event or call 973-545-2556 to arrange a party.